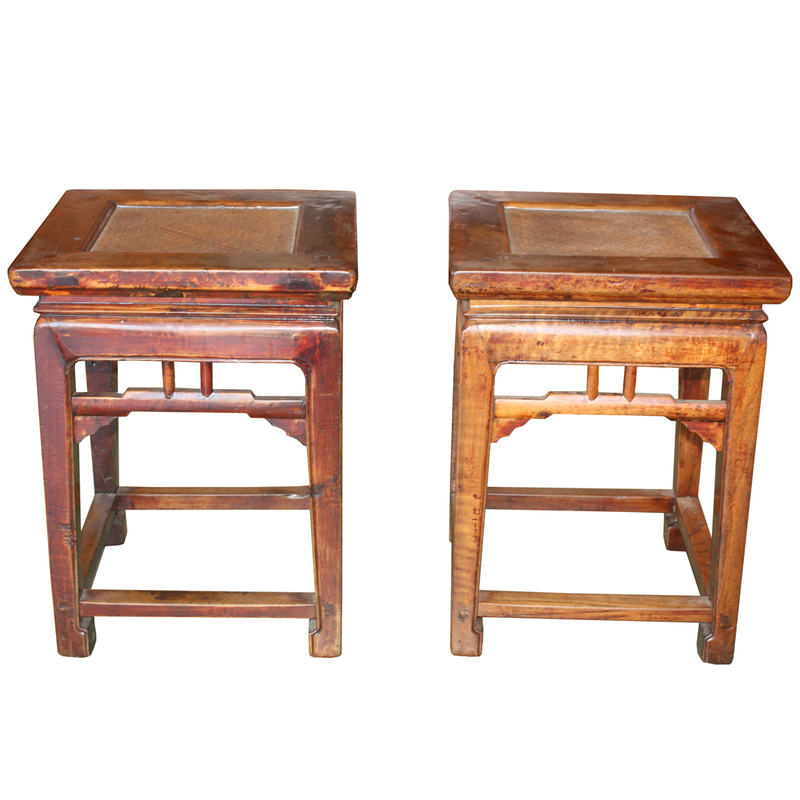 Pair of rare antique Chinese walnut hardwood square stools with replaced Rattan seat. 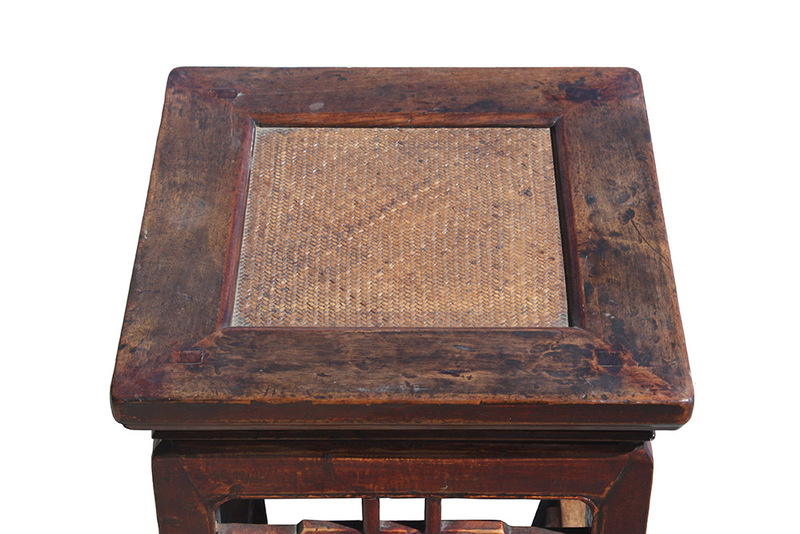 The stools are constructed with four legs rounding and joining the aprons, recessed underneath a waist. The stretchers on the four sides on the top were made in the hump-back style with additional spandrels underneath the stretchers. The bottoms of the legs are furtherly supported by four bottom foot stretchers around. 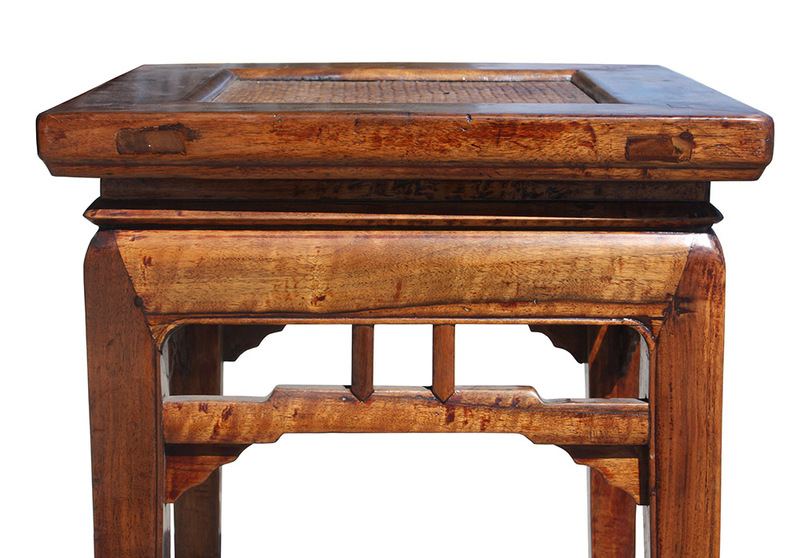 These stools were finished with French-Polish style lacquer over the original finish/ color. 150-200 years old.